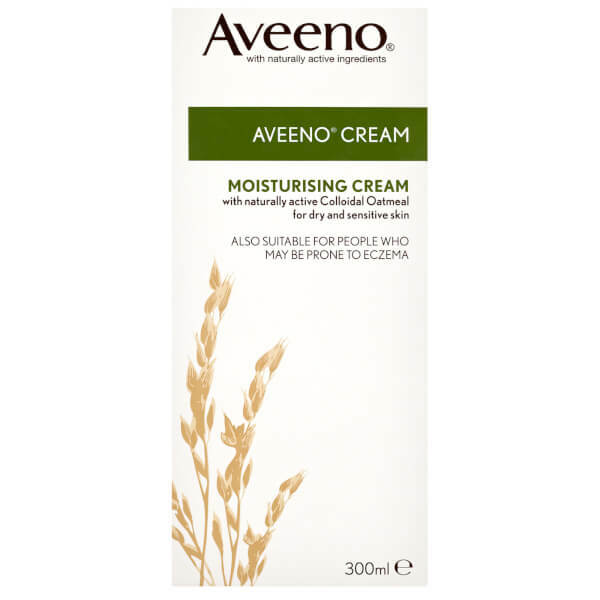 Catering specifically for dry, sensitive skin types, Aveeno's Moisturising Cream soothes and hydrates to leave the body feeling soft, smooth and comfortable after use. Fortified with naturally active, finely milled Colloidal Oatmeal, the lightweight, non-greasy formula infuses skin with essential moisture, whilst restoring the natural protective barrier to defend against environmental aggressors. 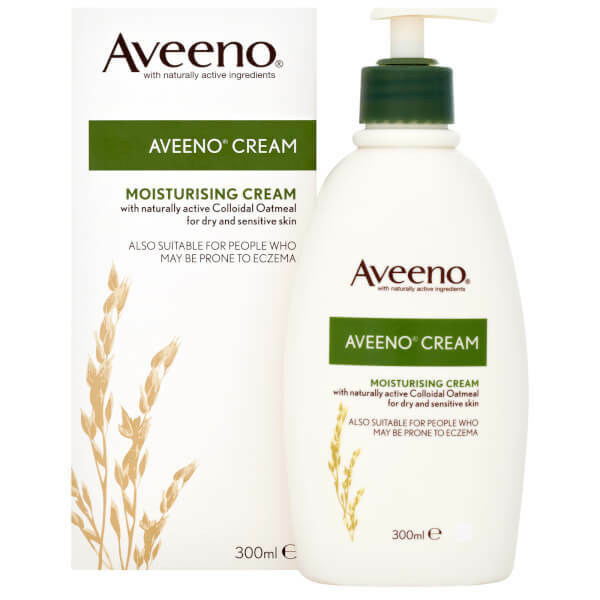 Ideal for eczema-prone skin and relieving itching sensations. Suitable for babies from 3 months. Apply to dry, sensitive skin as often as required. [PR-010017] Aqua, Glycerin, Distearyldimonium Chloride, Isopropyl Palmitate, Paraffinum Liquidum, Cetyl Alcohol, Dimethicone, Avena Sativa Kernel Flour, Allantoin, Paraffin, Cera Microcristallina, Isopropyl Alcohol, Stearyl Alcohol, Myristyl Alcohol, Sodium Chloride, Benzyl Alcohol.